Alvaro López - English - BECA. The BECA.org Foundation. Empowering Youth Education in Nicaragua. Hello BECA.org family. 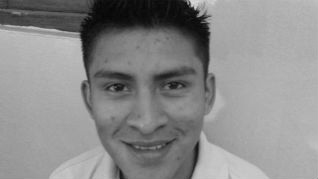 My name is Alvaro López and I am going to share with you how I knew BECA.org. When I was in fifth year of high School, I heard some rumors about a foundation which helped young people who cannot afford theirs studies after secondary. I was one of them because my parents could not send me to a university to keep studying. I did my best to get a scholarship in BECA.org. There were two steps to get a full scholarship. First one was a course called ´´Curso Uno´´, which was a computer course. The second one I had to work for three months as a volunteer (Teacher´s assistant) in an elementary school. After accomplishing these steps I got the scholarship and the hard time was coming up. I had to choose what I was going to study. BECA.org administration told me if I was interested in studying English because they set up a project called ´´Call Center Project´´. At the beginning I was not sure about it. I was not good at English at all. However, a wise friend told me that is worst never try than failing, so I did want to learn English. I learned English for almost one year and in a half. That was not that easy, I will not forget the first week of class. I did not even know the numbers and was puzzled, too. Then, I was getting better and better until becoming an English speaker. Also, I took a call center course for three months. Throughout the time I studied English, I had applied in call centers many times and I never got the job. But four months ago I was called by Accedo technologies a call center and told me they would open up a new campaign soon. I went there and applied for the job, I was nervous as always. After having the all interviews, I finally got the job and I have worked there for three months and I do like the job. In my days off I also work in MASINFA as an English teacher and have worked there for five months. I am really thankful with GOD and BECA.org for giving lots of blessings in my life and I always say to myself, what would I be if GOD never put BECA.org in my way?